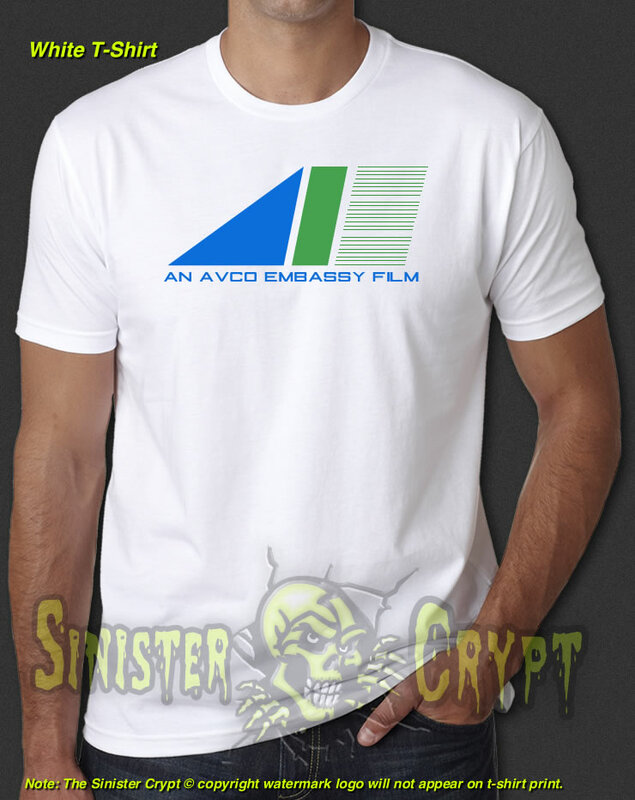 An AVCO Embassy Film t-shirt featuring the retro logo design from 1968 through 1982. 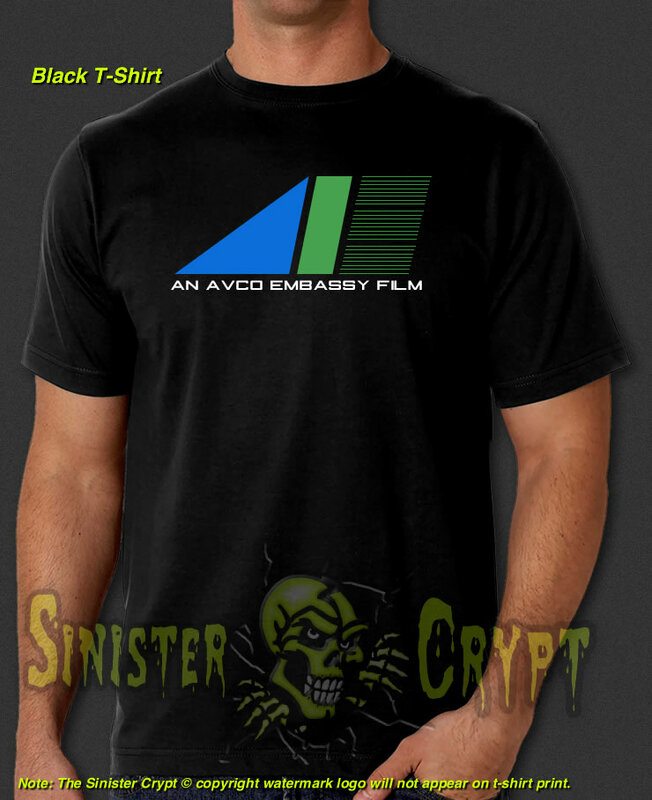 AVCO Embassy Pictures was an American independent film production and distribution studio responsible for such films as Godzilla, King of the Monsters!, The Graduate, The Lion in Winter, Phantasm, The Fog, Prom Night, Scanners, The Howling, Escape from New York and This Is Spinal Tap. Makes a great gift!